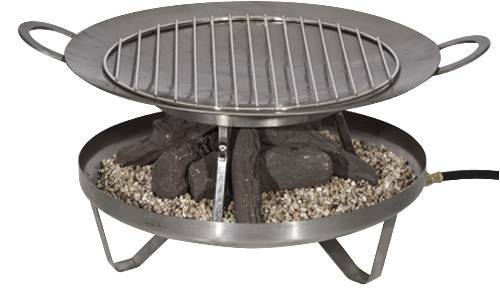 STAINLEE STEEL CAMPFIRE COOK ALL TO BE USED WITH EITHER OF THE FRONTIER CAMFIRES. ALUMIMUM NEW FRONTIER CAMPFIRE. 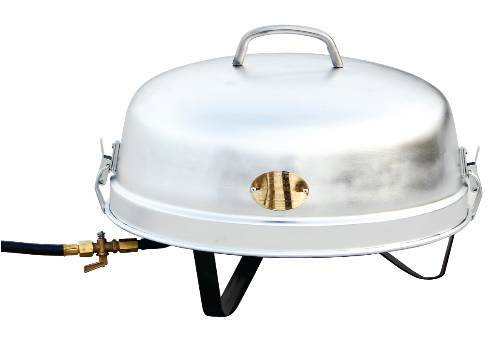 COMES WITH ALUMINUM TOP AND BLACK STEEL BOTTOM CERAMIC LOG SET AND 10' HOSE AND REGULATOR.